Here as per the latest exam pattern, CIDCO Clerk Typist syllabus has uploaded. Along with this accounts clerk, Programmer and other posts online exam syllabus pdf, exam pattern is given. At cidco.maharashtra.gov.in download the syllabus. Check CIDCO Clerk Typist Exam Syllabus 2018: Are you in the search of the Latest CIDCO Recruitment exam syllabus ? Then you have sign in to the best post, where you can see the all the CIDCO posts exam syllabus. The contenders might be tensed seeing the exam dates they are from 8th Jan 2018. It is sudden intimation from CIDCO about the confirmation of exam dates. Some may think that we can start our CIDCO exam preparation after the conclusion of exam dates released by CIDCO because they think at least enough time will be there after the announcement. But to their surprise it has given only 15 days time for the exam date. But don’t trouble, in the given post the most helpful topics to score high marks is available @ Recruitmentindia.in. Download CIDCO Accounts Clerk Syllabus PDF in Online from the links in our page. City and Industrial Development Corporation of Maharashtra Ltd. (CIDCO) is the state owned organisation in Maharashtra developed for the development of new towns and cities in that state. Getting employment in that organisation is very good job offer to show your skills and knowledge in a practical way. So many of the contenders are showing a lot of interest towards this CIDCO recruitment. For their use only, we have provided the latest CIDCO syllabus helps for them to score high marks. Practice all these marked topics in this post to secure a better marks in the final exam. Hold this page for more Maharashtra State Government Jobs. Name Of Organisation: City and Industrial Development Corporation of Maharashtra Ltd.
Marathi Syllabus:- Tatsam & Tadbhav, Sandhi, Samas, Ras, Paryaywachi, Lokokti and Muhavre, Ling, Vachan, Kaarak, Kaal, Beloom, Anekarthi Shabd, Alankar. English Syllabus:- Candidates ability to understand correct English, his basic comprehension and writing ability, etc. would be tested. Questions will be asked from error recognition, fill in the blanks (using verbs, preposition, articles etc), Vocabulary, Spellings, Grammar, Sentence Structure, Synonyms, Antonyms, Sentence Completion, Phrases and Idiomatic use of Words, etc. General Knowledge/ Professional Knowledge Syllabus:- The questions will be asked to test the general knowledge of the applicants. Current Affairs (State, National and International), Major Financial / Economic News, Sports, Books and Authors, Awards and Honors, Science – Inventions and Discoveries, Abbreviations, Important Days, International and National Organizations are some related topics. This topic is huge and anything can be asked related to recent news and event happened in the county or all around the world. It is advised to read newspaper daily and current affair digest books regularly.In case of professional knowledge, questions will be asked to check the knowledge of applicant in his/her respective field. Reasoning Syllabus:- Questions related to Comprehension Reasoning, Venn Diagrams, Number Series, Coding and Decoding, Problem Solving Techniques, Statement & Conclusion type questions, arithmetic reasoning, arithmetical number series, non-verbal series, syllogistic reasoning, Seating Arrangements, Decision Making, Input & Output, Logical Reasoning. Questions from Non Verbal Reasoning can also be asked in the online exam. View the CIDCO Accounts Clerk Exam Pattern 2018 in an easy manner. To make a plan of study, the intakes topics are the syllabus and Previous Papers. 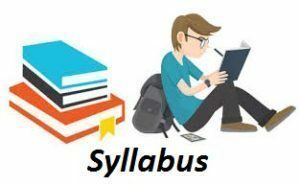 Syllabus develops the thought of what topics you have to study and Previous Papers useful to know how to study the concepts in view of the exam papers or scoring wise. So the complete guidance in both of these is there for you from our side. In the official site of City and Industrial Development Corporation of Maharashtra Ltd., the officials have been uploaded the CIDCO Clerk Typist Syllabus as per the latest Pattern. The written exam of this syllabus is the initial phase of the candidates filtering. The survived candidates in this recruitment are considered for the next rounds. Therefore, be strong in all the topics of CIDCO Clerk Typist syllabus exam for your post.